This solid 14K nickel-free palladium-alloyed white gold pendant has been custom-crafted with a focal bead by Lydia Muell of Ashton Jewels which has been accented by one of Lydia's matching spacer beads and a single crystal 2AB 4mm Swarovski bicone crystal in the center. The bead features raised and plunged florals with a terra background and a spectacular mulberry surface accented with a rich metallic stringer. 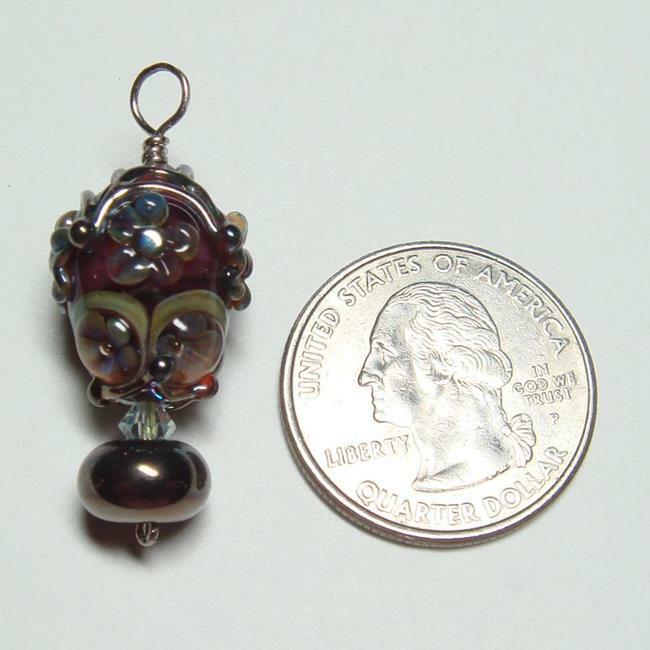 This is an absolutely first-rate bead and is a baby version of my other hot air balloons. 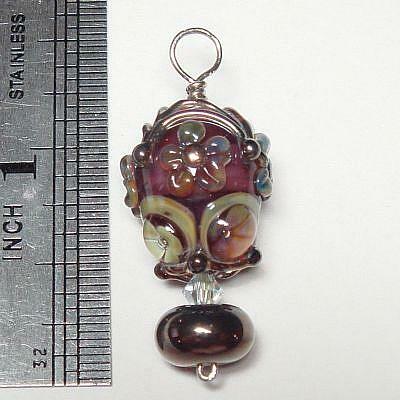 The pendant is 1 5/8" long including the bail, which will accommodate chains up to 4mm in diameter.